Head teachers say the pay levels of all school staff in England, including academy bosses, should be in a fairer framework to stop “fat cat” pay gaps. The chief executive of the Harris Federation was revealed last week to have become the first in the state sector to earn £500,000. The National Association of Head Teachers wants more transparency over spending “public money”. The Department for Education has written to 29 trusts about high pay. But the academy trusts asked to explain their levels of pay, where bosses earn over £150,000, have only been small, single-school trusts. The much bigger multi-academy trusts, including Harris, have so far been exempt from this challenge over how much they pay their bosses and managers. The most recent figures, from 2015-16, show more than 120 academy trusts paying someone more than £150,000 – the large majority of which will be in multi-academy trusts. A spokeswoman for the Harris Federation says its chief executive Sir Dan Moynihan’s earnings of up to £500,000 reflected the high performance of the trust. Harris operates 44 schools and teaches 32,000 pupils – with all schools rated by Ofsted as either outstanding or good. Education ministers have been highly critical of university heads earning “excessive” salaries – with universities told they would have to explain if their vice-chancellor had pay above £150,000. The Harris annual accounts show the academy trust pays 10 of its staff over £150,000. 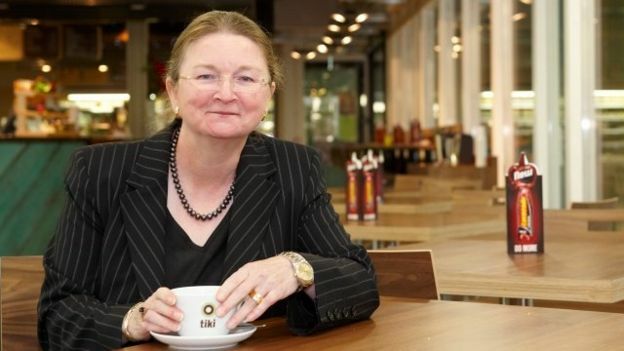 The Department for Education had threatened interventions if they did not show more restraint over pay – and the vice-chancellor of the University of Bath stepped down in the dispute over her earnings of £468,000. The Department for Education said its funding agency had written in December to academy trusts with bosses earning over £150,000. The trusts were told there had been “considerable scrutiny over tax-payer funded executive salaries” and such high pay had to be justified. But this was only for one-school trusts, often successful schools which had converted to academy status. Malcolm Trobe of the ASCL head teachers’ union said that in practice, this would mostly be targeting individual head teachers running a school, rather than managers of big chains. NAHT leader Paul Whiteman says there needs to be a national framework for salaries within the state school system, with clear guidelines on what pay was appropriate. “This would protect lower-paid workers, and avoid gaps opening up between the lowest and highest paid people in any school, which are hard to justify in the public sector,” said Mr Whiteman. The NAHT says fewer than 1% of head teachers earn £150,000. Questions about pay for academy trust managers are also against a background of schools complaining about budget shortages. Eileen Milner, chief executive of the Education and Skills Funding Agency, told the Public Accounts Committee last week that the 29 single-school trusts paying over £150,000 had been asked for an explanation of that level of salary. On the responses so far, she told the committee that about two-thirds would require further investigation. “I hope you take some assurance that we are acting first to understand, but then to challenge,” Ms Milner told MPs.